The flipdots were kindly provided by the muCCC: Wiki. 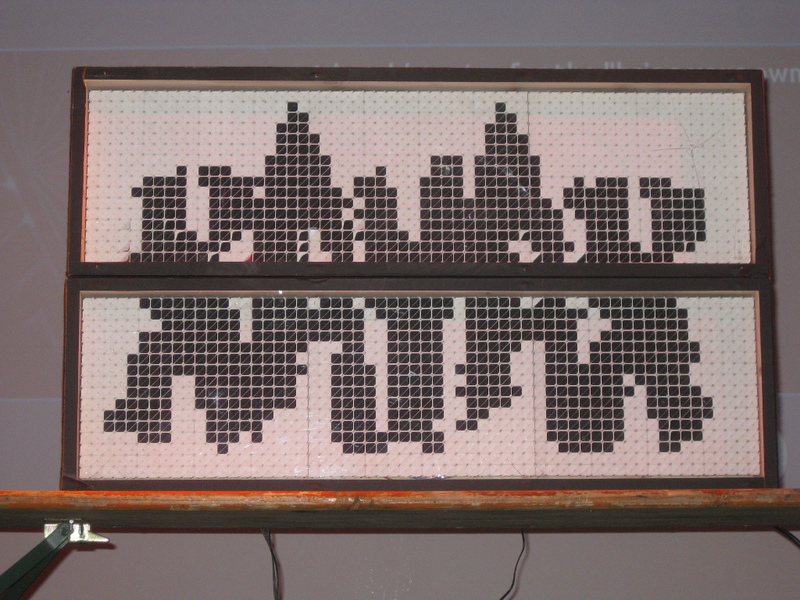 There's a talk from the 30c3 showing the flipdots. Note: as of 2017, the hardware is still available, but the software as well as the memory card that it was running on is not at hand, so life reproduction would take some time and effort.